Margaret has been an advocate, supporter, teacher, author and academic researcher in the area of gynaecological cancer for 30 years. Her interest in assisting cancer sufferers stems from her own experience with the disease and her desire to build on this life-changing experience to help others. In 2006 she was awarded an Order of Australia Medal for her outstanding contributions to fighting the disease by raising millions of dollars to improve cancer wards, and by lobbying politicians and senior medical professionals. Margaret’s PhD research examining issues around HPV Vaccination in Indigenous and cross cultural communities assisted in the effective implementation of a human papillomavirus (HPV) vaccine, in particular into the Aboriginal and Chinese communities. 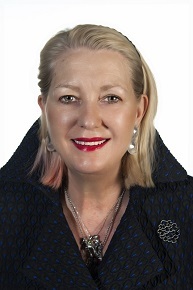 She became a Founding Member of the International HPV Alliance and an advisor to Australian Healthcare Associates for the evaluation of the Connected Beginnings Project which aims to help Aboriginal and/or Torres Strait Islander children in areas of high need, be well prepared for school. Margaret received an RMIT Award for teaching excellence in 2016 reflecting her drive, innovation and commitment to first year students at RMIT. Her work with the RMIT Academic Development Group has ensured a novel approach using interactive digital audio-visual to self- directed learning. She has published several books on cancer research and is on numerous panels and boards which provide direction and assistance to individuals in dealing with cancer.